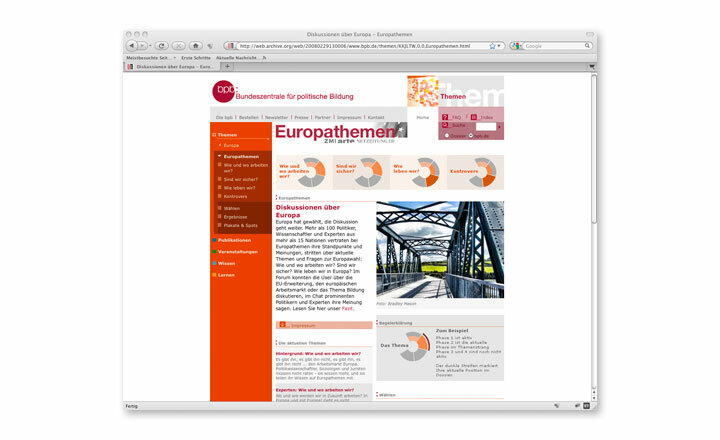 Website about the European Parliament election 2004. Role: Information Architect / Editor. Client: bpb. 2004.